It’s worth trying, because there are treasures there. 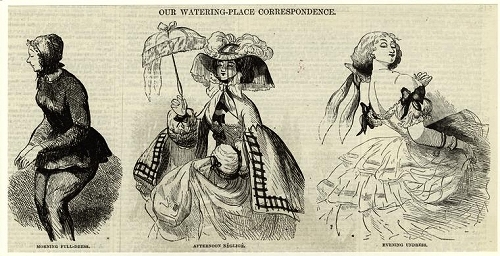 A sample of what you can find at NYPL Digital collections. This is from the Mid-Manhattan collection. 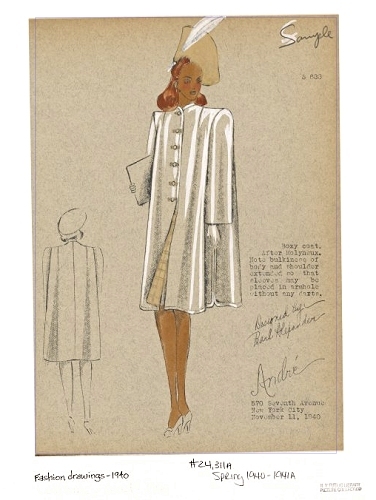 Couture by Ardanse, Louiseboulanger, and Bernard et Cie. 1932. The graded red gown is by Louiseboulanger. 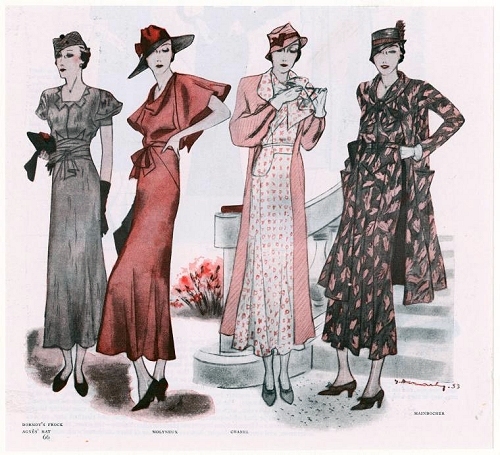 I found it most enjoyable to view this fashion collection as if I were turning pages in a book. To try it, Click Here, and immediately Scroll Down until you see a series of gray descending boxes (collection, sub-collection, etc.) Then, from that drop-down on the left, choose View as Book. If you want to see two pages at a time, click the double rectangle. If you want to be able to read the information about an item, click the single image rectangle, and then magnify the image as many times as needed, and push the image up so you can read its bottom text. 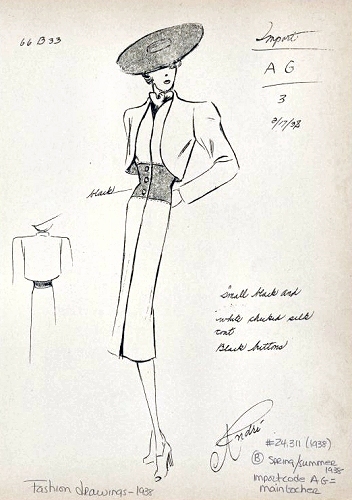 At the bottom of this sketch, there is an exact year written in pencil: 1937. 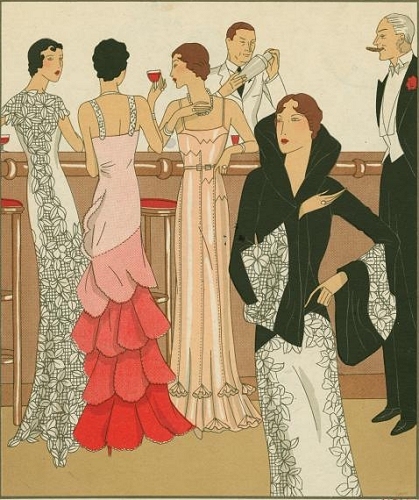 I love this particular 1930’s “book” because it also shows men’s evening clothes illustrations from the 1930s. This one, for example, reminds us that tuxedos and “white tie” cutaways could be purchased in either black or navy. 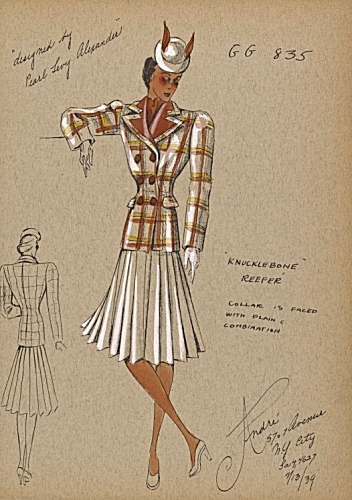 Costumes — Men’s clothing 1920s, from the NYPL Digital collection. 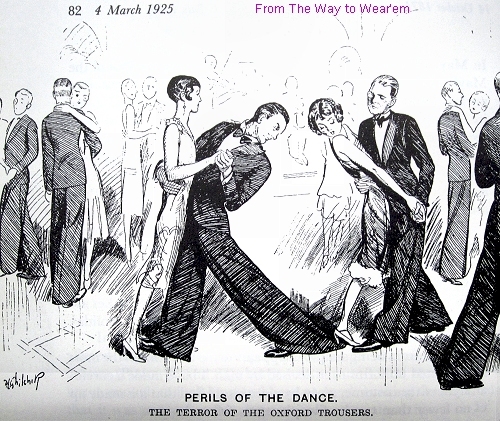 If you’d like to browse men’s fashions for the 1920s, click here , then click on any image that interests you; scroll down below the image, look at the left of the screen and, again, choose View as Book. Punch cartoon from March, 1925, printed in The Way to Wear’em. 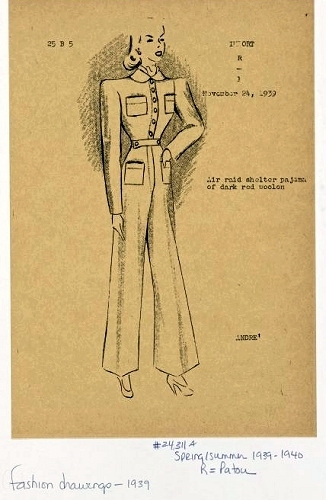 Maybe the the equal and opposite reaction to “jeggings” will be a fad for palazzo pants and 1930’s beach pajamas …. 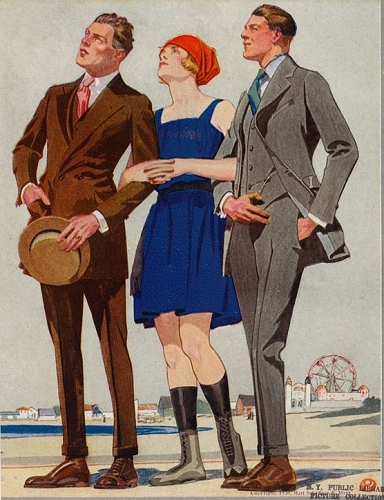 About that 1920 illustration of two men in suits and a woman in a bathing costume: it would be tempting to write a whole story about it — the Ferris wheel in the background (Coney Island? ), the reason the men are fully dressed while on the beach, their relationship to the girl, and to the airplane or balloon they are all watching so intently…. The trick I finally figured out when using the Mid-Manhattan Collection is that you can do a search — say, for “Molyneux” — then click on any one of the images that shows up, Scroll Down, and that will lead you to a sub-collection “book” of related images, at a convenient scale for viewing. You don’t have to click on individual images and enlarge them, one by one. I love the “book” option. 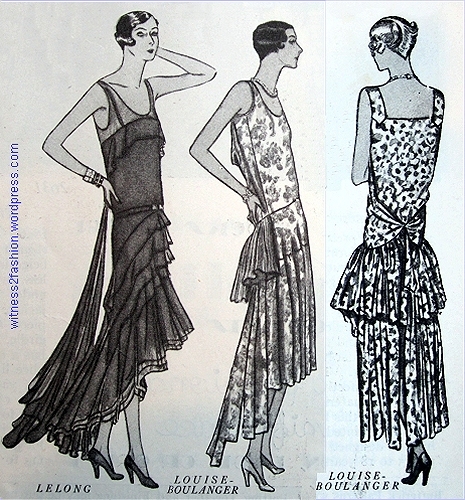 I was especially happy to find designs by two lesser-known couturiers from the 1920s, Louiseboulanger and Jane Regny. (I’ve been saving other images of their work, but haven’t written posts about them yet.) 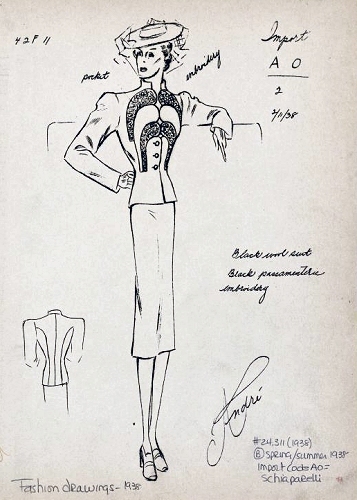 Louise Boulanger was very influential in the late 1920s. Other good news: 180,000 public domain images can be found through the New York Public Library online. Click here.